Available in aft cockpit and center cockpit (shown here) versions. 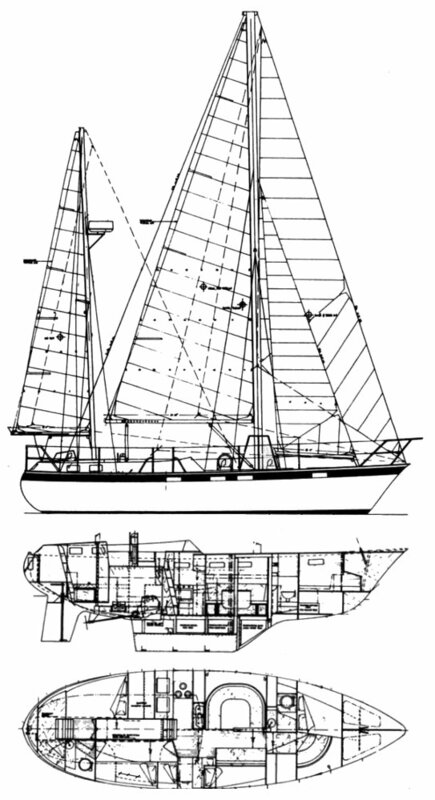 CC version was available with ketch or staysail ketch rig. Available built of solid laminate or with Airex core. Most boats were sold unfinished so interior and other details vary widely.